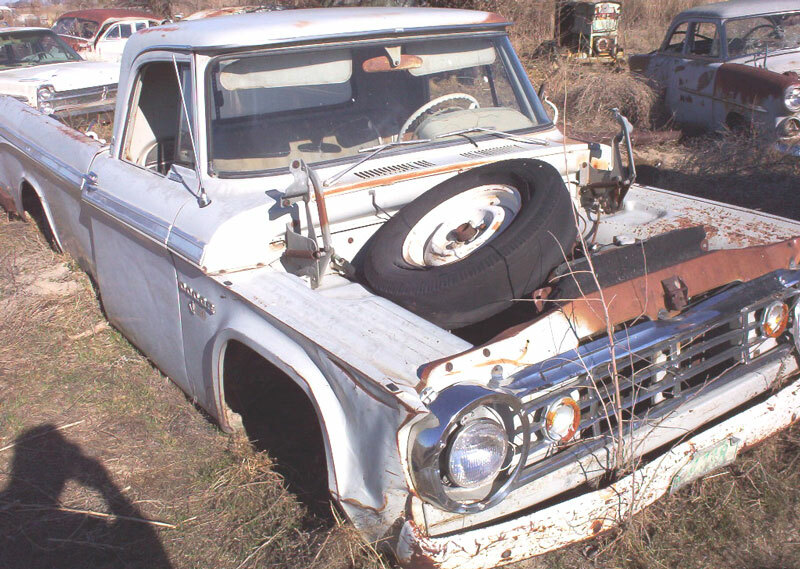 This Mustang grey 1965 Dodge D-200 3/4 ton Sweptline Custom Cab pickup is a fairly complete classic truck ready to be restored or customized. 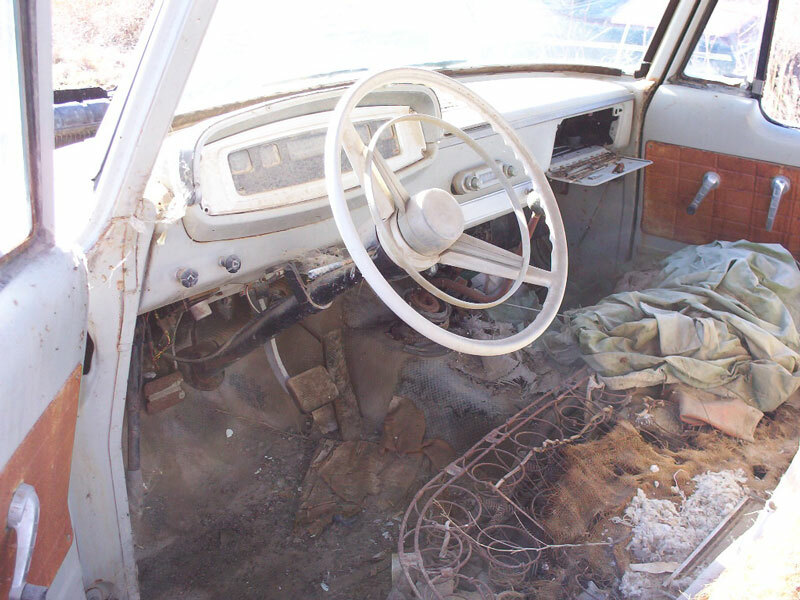 The body has solid western desert sheet metal. The windshield is cracked and the hood is missing. The grill and left headlight are damaged and the parking light lenses are broken. The front right fender is dented. The front of the right rear fender is dented at the bottom. The left side of the box is dented and all the left side trim is missing. The back top of the car is dented. The box is solid. The tail gate is dented. The truck has a heavy-duty tow bumper. The grey and white interior is all there. The 225 CID OHV inline slant six cylinder motor is all there except the air cleaner is missing. The four speed manual floor shift transmission is there. 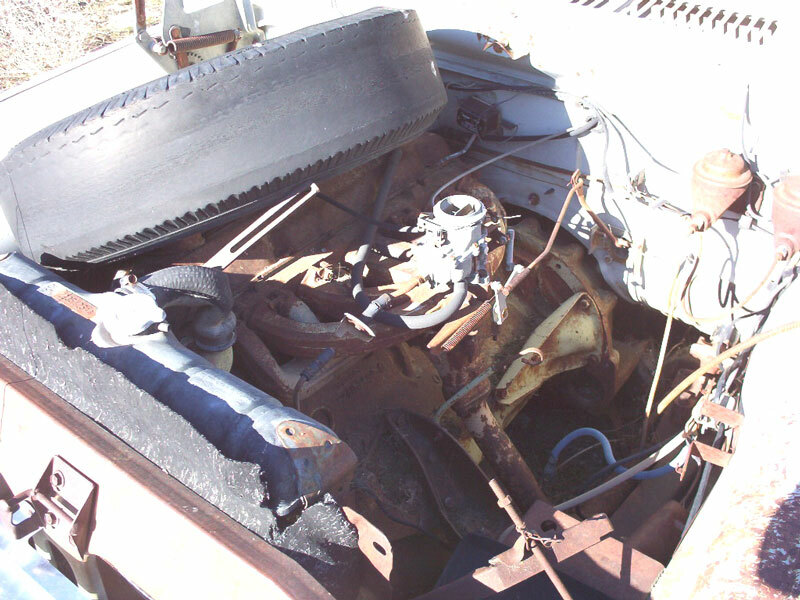 Here is your chance to restore a 65 Dodge Sweptline pickup. 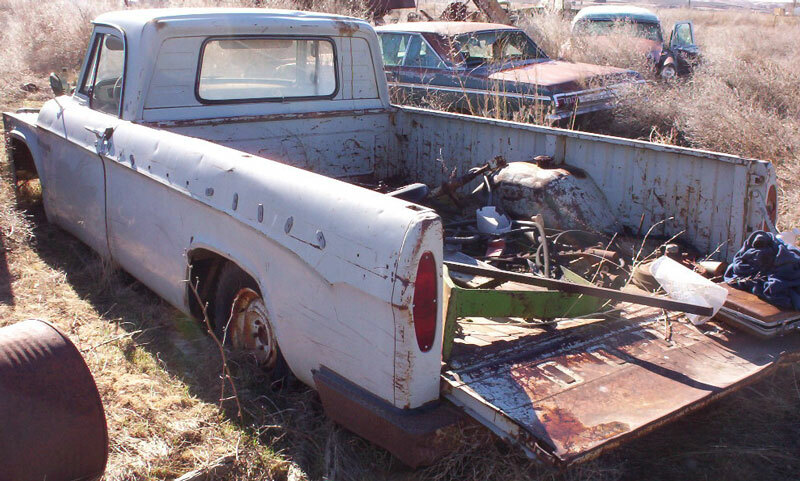 Please call Steve Murphy at (406) 565-5277 for details about this restorable classic project truck.